Whether you or someone you know are aware of you clenching or grinding your teeth at night, you may need to take precautionary actions to prevent those forces from afflicting injury to your teeth, jaw and muscles. Most people who grind their teeth often presents with cracks on their teeth and fillings, jaw discomfort and pain to the face and neck. It is therefore important to wear a good fitting grinding appliance to protect your teeth whilst you sleep. 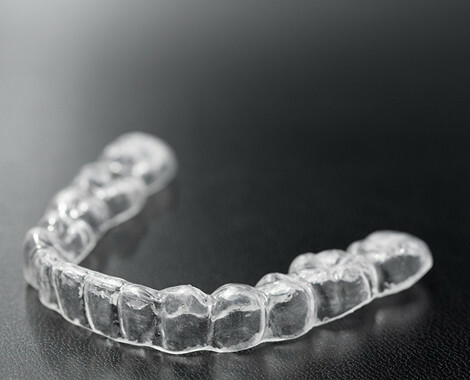 At Aqua Smiles Dental, we pay great care to ensure that the grinding appliance especially designed for you not only satisfies the expected standards but also comfortably harmonise with your teeth and mouth.